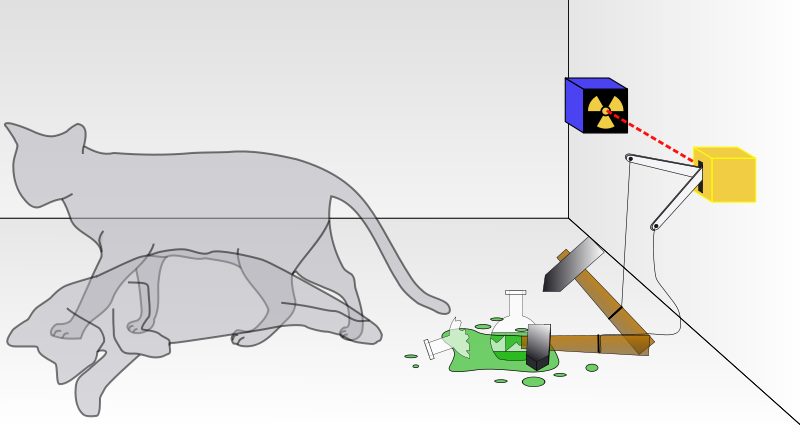 Schrödinger's cat is placed in a sealed box with a flask containing a poison and some radioactive material. If the Geiger counter detects radiation the flask is broken and poison is released killing the cat. 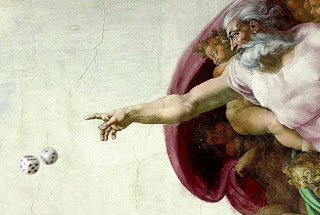 Quantum mechanics can be interpreted to say that after a while the cat is both alive and dead. Erwin Schrödinger, famous for his thought experiment where a cat could be simultaneously alive and dead depending on the occurrence of a random quantum event, said this regarding quantum theory: “I do not like it, and I am sorry I ever had anything to do with it.” Considering that he won a Nobel prize in 1933 for his famed Schrödinger equation which is central to quantum mechanics, one would hope he was joking! The aspect of quantum mechanics that particularly bothered Schrödinger is called “quantum leaping”, where an electron instantaneously jumps from point A to point C without ever passing through point B. 1) True or false: quantum theory is easily understood. 2) ______________ won a Nobel Prize for his quantum theory equation. 3) True or false: Einstein was a critic of quantum theory. 4) A mental exercise that would be difficult or impossible to perform is called a(n) _________________. 5) The ability of an electron to instantly jump from one location to another is known as _________________________.